Attention thrill-seekers! Are you ready for the excitement and freedom of jumping out of a plane without actually having to risk life and limb from 12,500 feet? 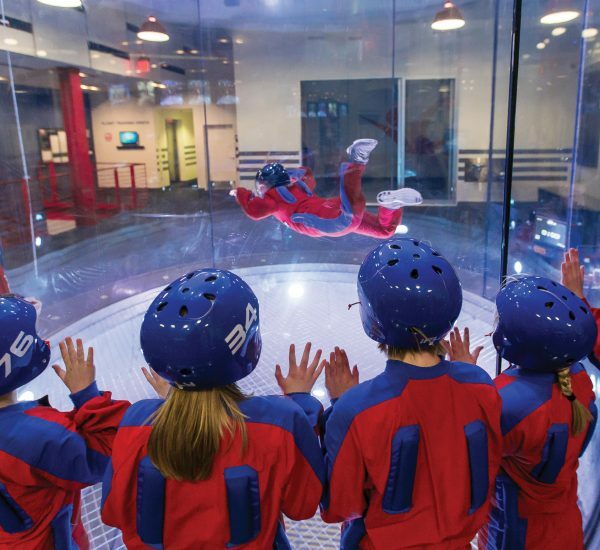 Let me tell you about our experience at iFly Indoor Skydiving. 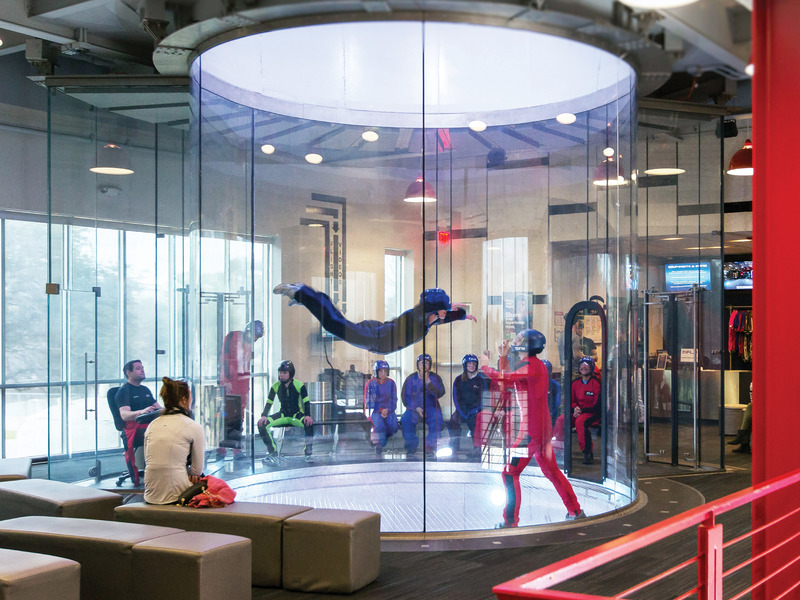 My guest, Alissa, and I visited the Paramus, NJ location to try our hand at weightless bliss in the safety of iFly’s vertical wind tunnel. Alis and I have been friends for 25 years with countless episodes to discuss (and some that shall remain in “Vegas”), so naturally she was my perfect companion for this adventure! As we pulled up to the modest majesty of the iFly building (so unassuming, just off of Route 4 in Paramus, yet quite a sight once you’re actually in the parking lot), the first thing I noticed was its unusual shape. Come to find out, the shape is directly related to the technology that creates the air column within which we experience flight. I was impressed by the bright lobby and the smiling face that greeted us at the counter. Mia, with a touch of her charming brand of humour, instructed us on filling out the waiver forms and what we could expect once we were checked in. We’d arrived 30 minutes early and since it was a not-so-crowded Monday evening, we were lucky enough to get bumped up to the earlier group. We were introduced to Ilya, our certified instructor, who, with Mia’s assistance, provided us with a locker to place our belongings. Ladies and gentlemen, prepare to spend some time away from your cell phone! Don’t fret. We survived and had a grand time to boot! Along with cell phones, we removed everything from our pockets and all jewellery. Essentially, you don’t want anything on you but your comfortable clothing and sneakers – it WILL fly away. 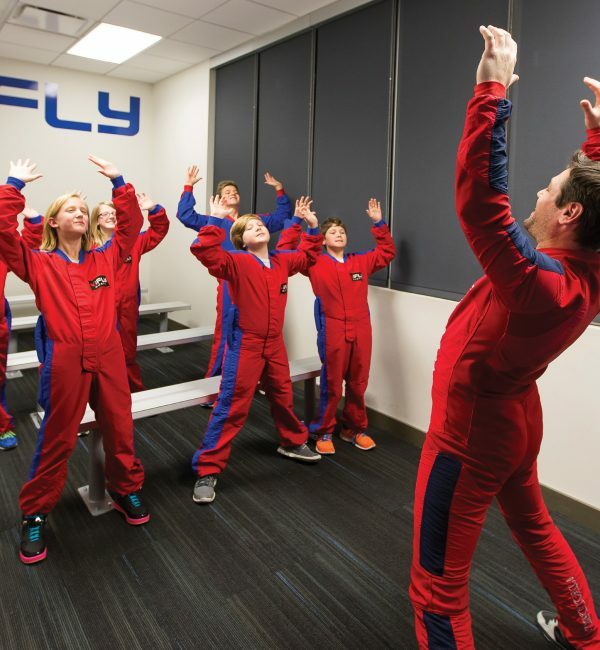 iFly’s website outlines what to wear and what to leave at home. Next we were given our flight suits and led to the small briefing room for a training session (mandatory for first time flyers and anyone who hasn’t flown within three months) and to don our suits (over our clothes). The suits are rather stylish and comfortable, IMHO. I felt like the real deal! Once out of the training session, Ilya gave us a pop quiz on hand signals (they are not kidding when they say you can’t hear each other) and proper flying position before helping us put on our goggles, ear plugs, and helmets, and leading us into the waiting chamber. Our crew consisted of Alissa and I as well as two adorable siblings, brother and sister, I’d say no older than 6 years of age (Dad was allowed to join them in the chamber even though he wasn’t flying but was required to wear a helmet). I’ll admit, I was rather nervous at this point, but thought to myself, “well, if they can do this, I better put my big girl suit on and dive in!” Brother was first to jump into the tunnel. I could tell he was apprehensive but Ilya did an excellent job keeping him calm and getting him into the proper flying position. He ended his initial 30 second session and it was sister’s turn to take flight. Sister wasn’t having it! Ilya attempted to coax her in, offering for her to hold onto his arm while she flew, but she had seen enough from brother’s flight and took a hard pass on entering the tunnel. By default, that made it my turn…I stood in the doorway, put my hands up in what I hoped was the correct position, and leaned in to the wind. My immediate thought was, “oh, ok! I’ve got this!” It took some adjusting and I luckily remembered the “straighten legs” and “relax” signals. But then about 10 seconds in, I felt like I couldn’t catch my breath! I frantically pointed toward the door and Ilya quickly responded, bringing me out of the tunnel. Ilya was kind and reassuring, reminding me “it’s all in my head” and just to breathe normally. I dove back in and it was as simple as that! Now it was Alissa’s turn. Why didn’t this girl tell me that she was professional skydiver in her past life?! She crushed her first flight! I’m not gonna lie, I was jealous! So after our first flight, we had two more to go. Brother and sister both decided to exit at this point despite Ilya’s valiant attempts to help them feel comfortable and see how safe the flights were, including turning down the wind speed and offering to allow Dad and kids to walk in and check out the tunnel sans flying. We bid them adieu and it was time for my second flight which included a High Flight. How exhilarating was that!?! Ilya got me comfortable in the tunnel and in the correct form before assisting me with flying and whirling high into the tunnel. I highly recommend the High Flight (pun intended. Yes, that happened). Point of information: you might drool… Alissa and I both drooled. It was fine. Lots of people do it. Also, bring a brush or comb. Despite the helmet, your hair gets blown and you’ll need to fix yourself up if you have after-flight plans. I assure you though, the experience is well worth the drooling and unruly hair. Our final flight was the How to Train Your DragonTM VR Experience. 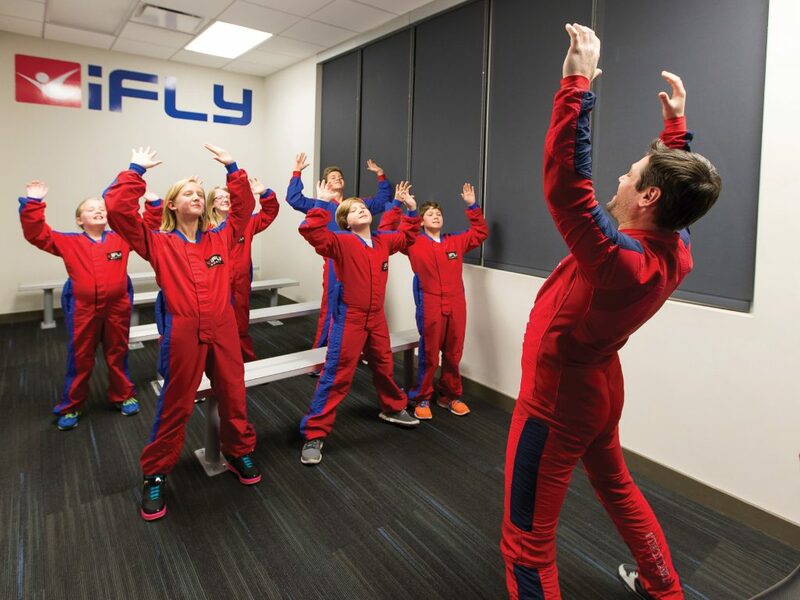 DreamWorks and iFly collaborated to create this experience where flyers wear a state-of-the-art VR helmet and soar through a virtual scene as one of the characters from the film. One of my favourite parts about this flight was that helmet. It was much more enjoyable to enter the tunnel with a covered face. It’s an exercise in trust as you must relax and allow your instructor to guide your motion through the VR environment. It was quite cool to feel as though I was flying through the mountainside in the vivid and colourful scene. The How to Train Your DragonTM VR experience is available for a limited time at participating locations. 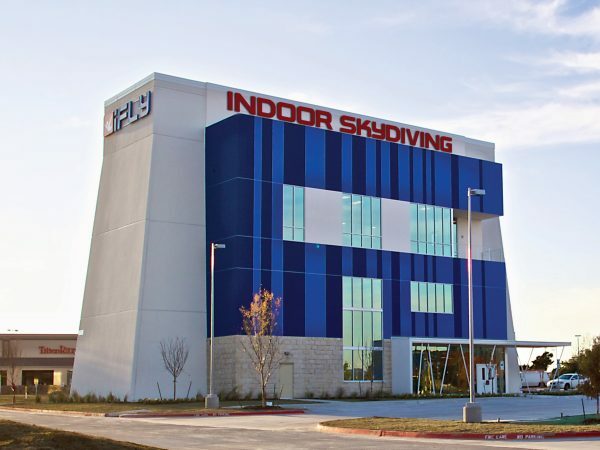 The Paramus location also has standard VR experience destinations that guests can add on to their flight packages including Hawaii, Dubai, Southern California and the Swiss Alps. 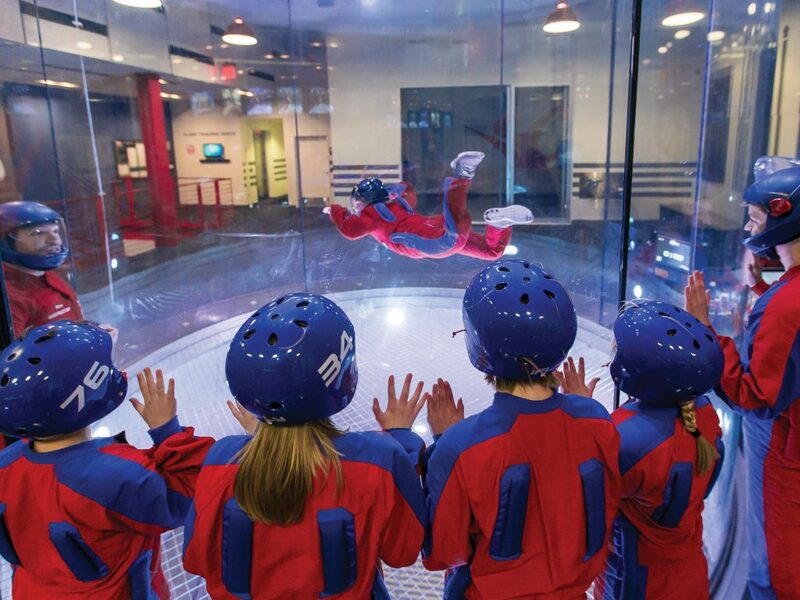 Guys, get to iFly and try this out! If you’re planning a trip to New York or New Jersey, the Paramus experience deserves to be on your itinerary. Mia and Ilya are phenomenal but everyone we encountered on our visit was super enthusiastic and friendly. If you’re not local to NJ or passing through the area, go to www.iflyworld.com and explore the other locations all over the U.S. as well as in Brazil, Australia, France, Great Britain and New Zealand. Happy Flying!